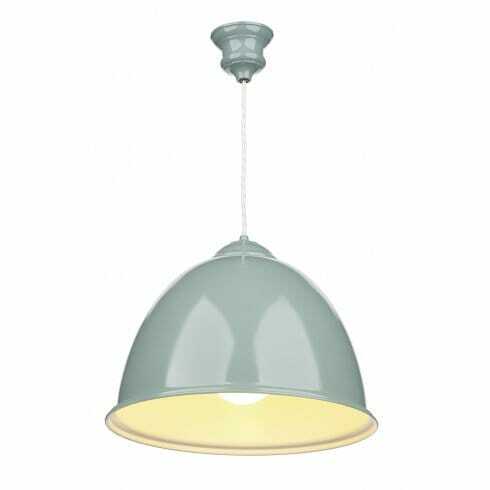 The product code for this David Hunt ceiling pendant is EUS0173. It features a sleek, domed pendant with a vintage-inspired blue verditer (English blue) finish that can be wiped clean for easy maintenance. The white interior reflects the light for brilliant illumination and the cream braided cord allows for harmonisation with most modern decors. Looks especially great when used in co-ordination with shabby-chic or country cottage style themes.